Serge Pizzorno told the Daily Star: "What would be great would be to do some live shows from space. Beam them back from the International Space Station with a satellite link-up and go straight into homes or cinemas." 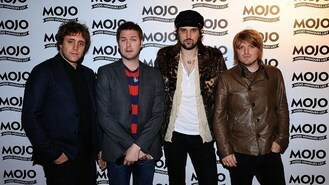 The band's recent London gigs will be shown in cinemas, which Serge is excited about. He said: "It's difficult to predict where you'll have a good show but somehow the magic happened at the O2 so we were really lucky. The cinema is a great place to see a gig." Serge also revealed that he'd like to direct a film. "I did the music for a film called London Boulevard. I buzzed off it. One day I'd love to direct a film, something insane."